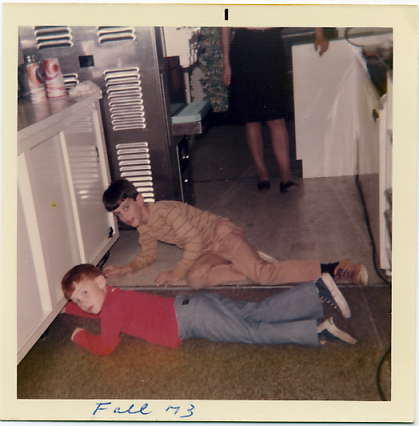 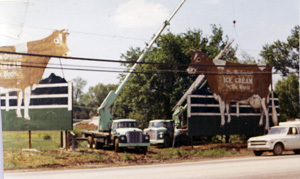 In 1967, The Guernsey Cow added on to the existing structure to expand the dining room and kitchen area. 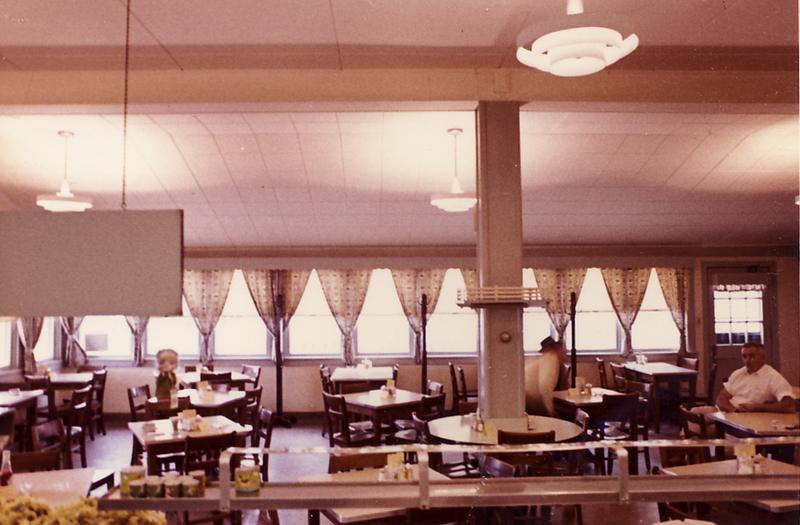 The photo below is taken from behind the ice cram counter looking into the old dining area. 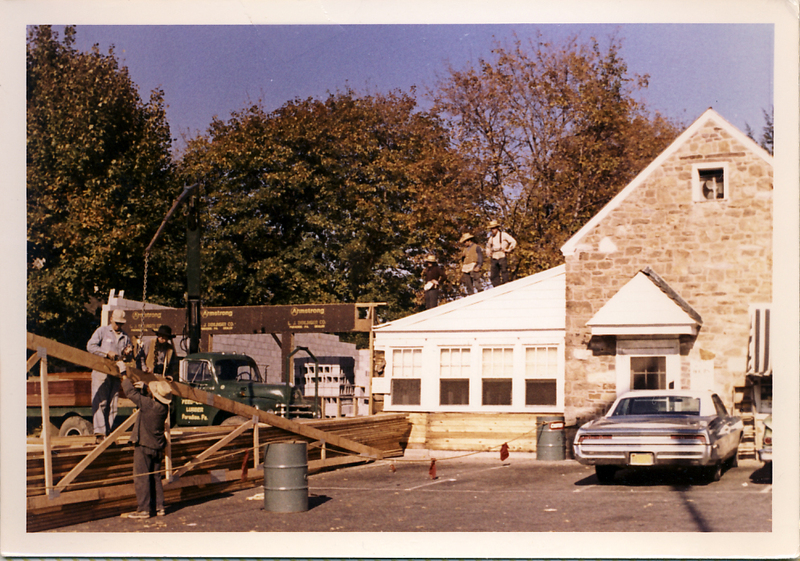 Elmer Polite, brother and partner of Larry Polite and Joseph Pep Puliti (and later, owner of Mr. 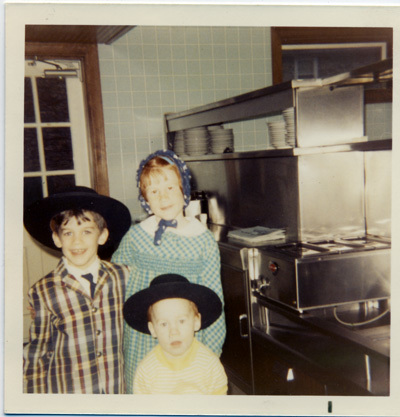 Sandwich in West Chester) poses on the far right. 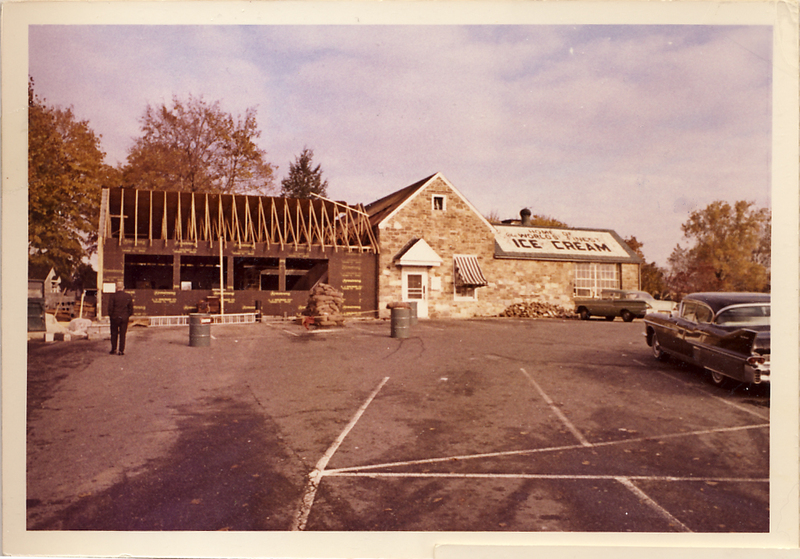 The column in the center later became the location of the blackboards that listed the available ice cream flavors. 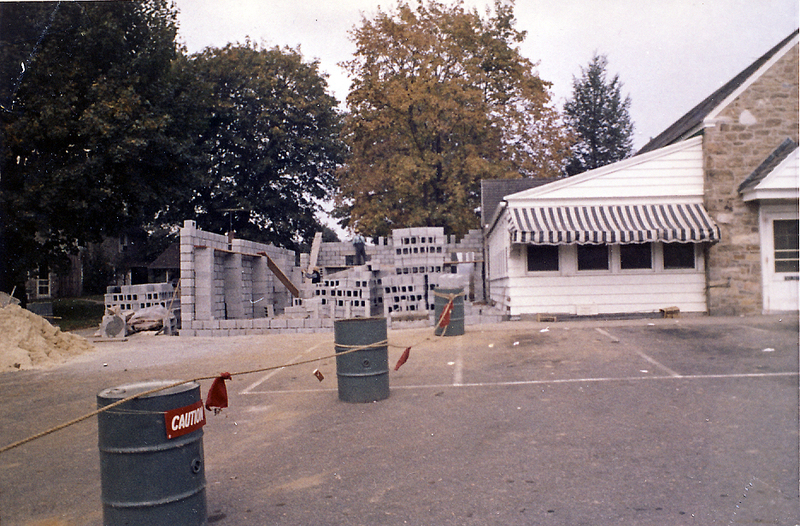 Cinderblock walls form the new exterior wall in 1967. 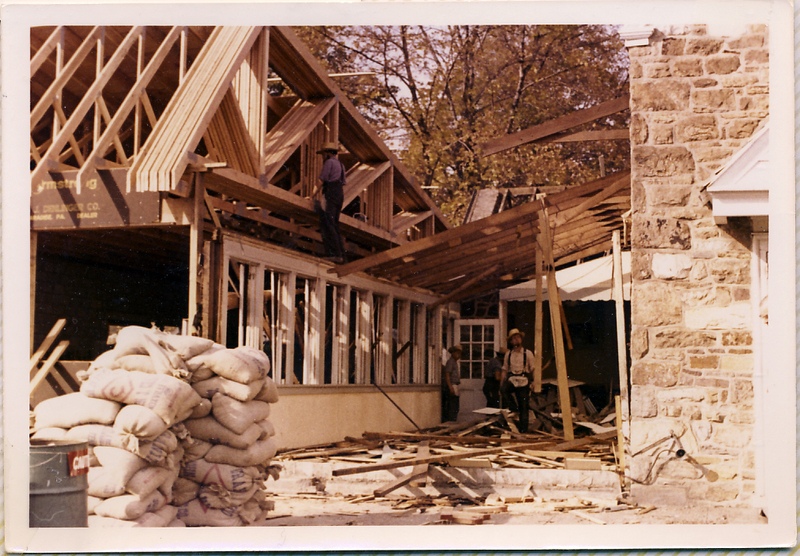 Framing is delivered, probably from Lancaster or Gap, PA.
New framing takes shape while old dining area is torn down. 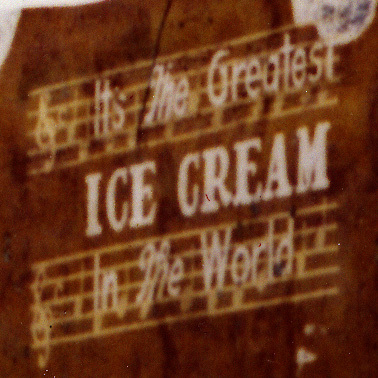 This is another nice photo from my grandmother’s photo albums taken in the Fall of 1941. 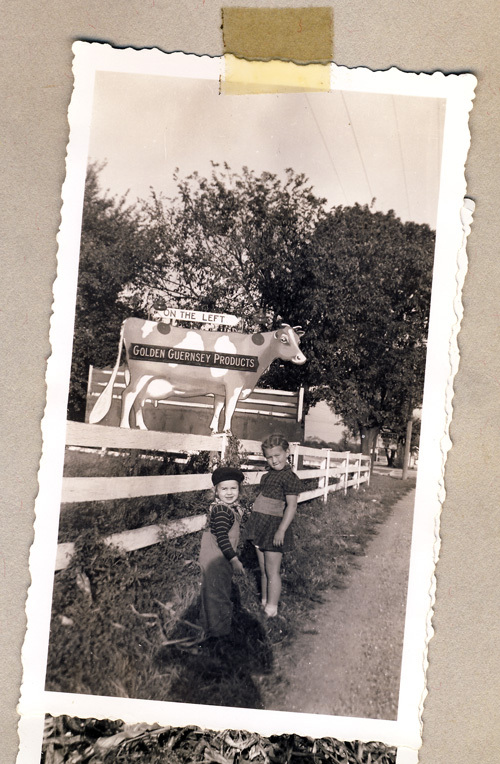 My Aunt Saundra and mother, Wanda, stand out along the Lincoln Highway (Rte 30). 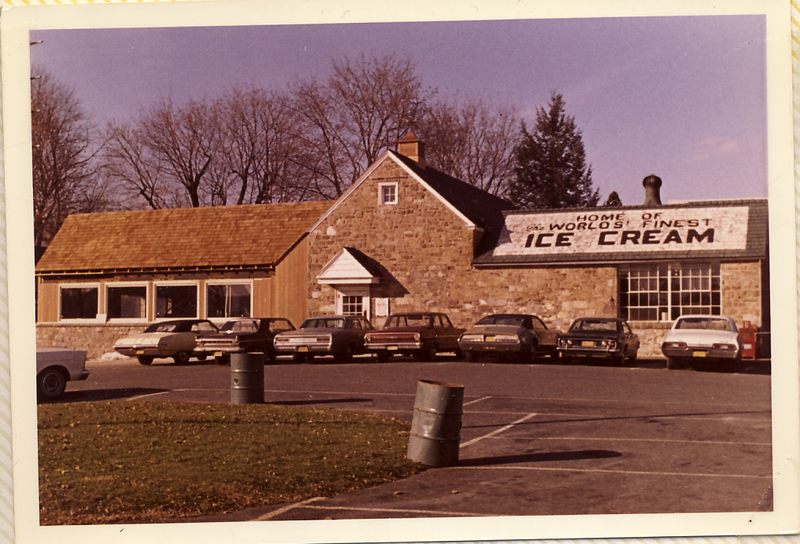 In 1941, the business was called The Exton Dairy Grille. 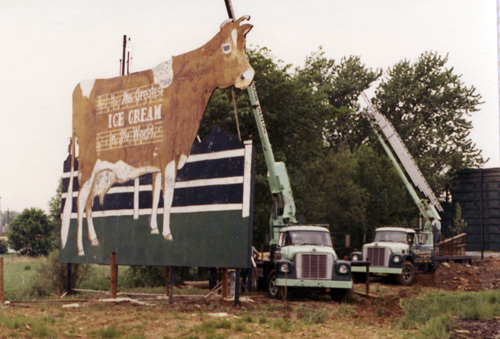 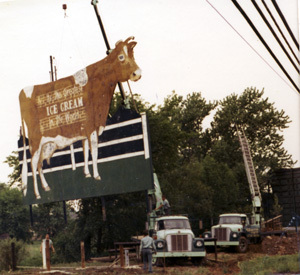 It was these smaller cow signs advertising “Golden Guernsey” products that would prompt customers to tell friends, “I’ll meet you at the sign of the cow.” And later during World War II, patrons would tell my grandfather, Larry Polite, that he should change the name to “The Cow.” He changed it to The Guernsey Cow and when World War II ended, he built the now-famous sign.